I loaded the pipe using the Three Step Method and proceeded to the charring light. On the charring light, I was greeted by a nice sweet aroma. 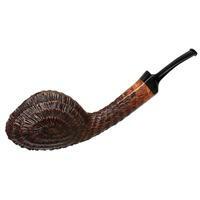 The flavor was a nice straight forward tobacco taste with a light underlying sweetness. I finished lighting the tobacco and settled in for a nice relaxing smoke. 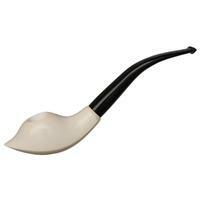 From the beginning of the bowl, there was a nice straight forward tobacco taste with hints of sweetness accompanied by a light tanginess. The flavor profile stayed the same from the beginning through the end. This is a one dimensional smoke, but it is very good. The only change was with the strength of the tobacco. It got a little stronger as the bowl progressed. I normally don’t mention anything about the ash of a blend in my reviews, but this is one time that I thought that I should. The ash burns down to a light gray, powdery type of ash that gets pretty dense. In larger bowls, I had to dump some of the ash to keep a good burn going. The ash was so powdery and dense that it was smothering the burning tobacco. This happened about mid-bowl and once again towards the end. This is not a bad thing. I am just letting all of you know about it so that you can be prepared for it and not think that this blend is hard to keep lit, which it is not. This is a great blend and I love it! It smoked cool, dry, and didn’t bite. This would be a good blend to enjoy with a book or movie. It has a good flavor that you don’t have to focus on for flavor nuances. You will taste it without paying much attention to the blend. It does get a little strong at times and for some people, it is quite strong. So if you are looking for a straight forward tobacco blend that packs some Oomph to it, I think that Night Train will fit the bill nicely. I Highly Recommend it! Description: Bright Virginia ribbon, bright Virginia flake, Cavendish Cut brown Virginia Burley and Perique combine to form a smoke as smooth as a train gliding effortlessly through the late night hours. Cornell & Diehl #417P Night Train - Click Here to Order Now! I ride the train regularly Bob; and that review punched my ticket! I’m glad you explained the need to clear the ash. It would never have occurred to me to give others a heads-up like that. This is one blend where I really enjoy the re-lights once that’s done. I consider this C&D’s sweet(er) offering for those who like Haunted Bookshop and Old Joe Krantz. All three in this family have that signature C&D Vaper flavor with their own, characteristic nuances. Good job! 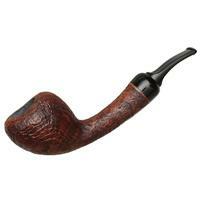 This has been my favorite pipe tobacco ever since I discovered it at the Chicago Pipe Show. 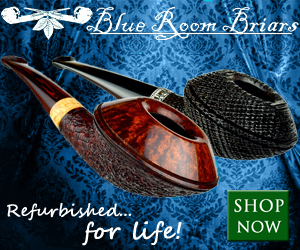 An absolute must for tobacco purists. There will not be any changes in flavor, and don’t expect any surprises from first light to the end of the bowl. 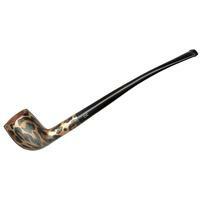 But this is due to the nature of flake tobacco itself rather than any weakness in the blend. 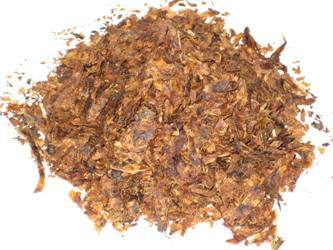 The flake pressing process encourages all the flavors of the tobacco to marry and blend, producing a consistent smoke. The gentle simplicity of the blend is its greatest strength. As for the ash issue, this blend responds really well to relighting. The flavor remains consistent throughout. Night Train is the perfect all day smoke for any tobacco purist. When purchasing a brick of Night Train, you need to be sure that you can keep the tobacco humidified, without exposing it to too much moisture, which can cause Virginia to mold. I was fortunate enough to purchase directly from Mr. & Mrs. Craig Tarler at the Pipe Show. Mrs. Tarler suggested that I freeze the brick and keep it in my freezer, cutting off slices for my pouch and letting it defrost at room temperature. I actually use the top removable shelf of my cigar humidor in which to store the brick. I also keep it carefully wrapped in a ziplock bag, and carefully remove the air from the bag after each slicing, should my humidor produce too much moisture. To slice, I simply use a sharp pocket knife, a cutting board, and a piece of typing paper. Place the brick on top of the typing paper, the typing paper on the cutting board, and make slices about 1/8 inch thick, along the shorter rectangular side. Usually 2 of these slices will be about as much as you can keep in a pouch if you smoke consistently. For me, I smoke about 2-5 bowls a day. After slicing, put the slices in your pouch, remove the brick, fold the paper, funnell the excess into your pouch. Store the brick. Bob, thanks for the review. This is one I have been waiting to hear about. Raymond, thanks for the instructions and advice on storing this and preparing it. I was at C&D last month and acquired a 1-pound brick of Night Train. Party at my house! I guess I should go stick it in the freezer. Great post! A lot of people think that a one dimensional smoke is a bad thing, but they need to keep in mind that there are a lot of blends made, like Night Train, that are supposed to be like that. Great tips on storage and preparation of this blend! Question: Bob, when you reviewed this, did it come in a 2 oz cut? I think C&D only sells pressed tobacco in 1 lb bricks, according to their catalogue. I purchased a 1 lb brick at the Pipe Show. However, the link to SmokingPipes.com for purchase lists a 2 oz tin. (?????). At any rate, I’ve harassed Skip and John into ordering me a 1 lb brick with their next inventory. Hopefully I can convince them to make it a regular offering at the Briary, as what’s left of my brick will be gone within the next two days. As to the dimension of this blend, most people should know that flakes by their nature are 1 dimensional, consistent smokes. If you take a blend of tobacco, press it, and age it, all of the ingredients will marry and age as well as their respective moisture contents, all of which yields a consistently burning, consistently tasting smoke. And, that’s why flake smokers smoke flake tobacco. There is simply no such animal as a multidimensional flake. 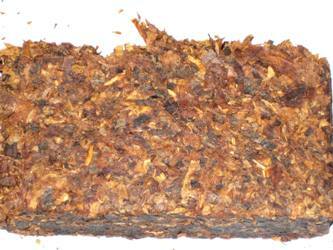 If a flake is “multidimensional”, it likely means that the blend was removed from the presses way, way to soon before the tobacco had aged sufficiently. The piece of Night Train that I sampled was in a 2 oz cut. 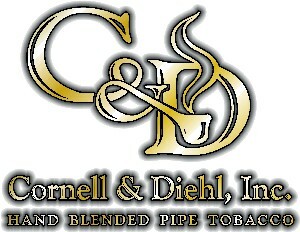 I ordered it directly from Cornell and Diehl in a sampler pack. You do not have to buy this blend in 1 lb bricks in bulk. I have purchased 8 oz of it before. In the printed C&D catalog that I have, and on their site, I didn’t see any mention of having to buy in only 1 lb increments. They have the prices for smaller increments listed and they also say that all of their bulk blends are now available in 2oz, 8oz, and 16oz tins. That is why SmokingPipes.com has their bulk blends in those tin sizes. Ok, as Cortez said, I just got my ticket punched too! I am smoking Night Train right now. When I broke open the brick, it smelled like I was back in the different tobacco processing plants I visited in North Carolina. 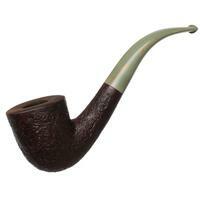 As Raymond said, this is definitely a “must for tobacco purists”. This is tobacco flavored tobacco. It looks good, it smells good, it feels good and it smokes good. I feel like I am hanging out on the tobacco farm smoking good old fashioned tobacco. My new 1lb brick has arrived at the Briary!!!! Happy times.